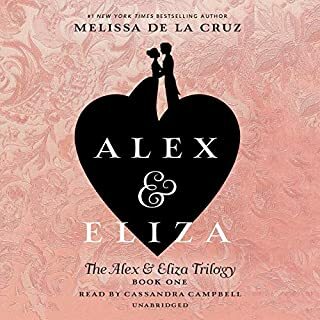 From the number one New York Times best-selling author of The Witches of East End and The Descendants comes the love story of young Alexander Hamilton and Eliza Schuyler. Everyone knows Benedict Arnold - the Revolutionary War general who betrayed America and fled to the British - as history’s most notorious turncoat. Many know Arnold’s co-conspirator, Major John André, who was apprehended with Arnold’s documents in his boots and hanged at the orders of General George Washington. But few know of the integral third character in the plot: A charming young woman who not only contributed to the betrayal but orchestrated it. Is this a bad elementary school play? Fans fell in love with Eliza Hamilton - Alexander Hamilton’s devoted wife - in Lin-Manuel Miranda’s phenomenal musical Hamilton. But they don’t know her full story. A strong pioneer woman, a loving sister, a caring mother, and, in her later years, a generous philanthropist, Eliza had many sides - and this fascinating biography brings her multifaceted personality to vivid life. 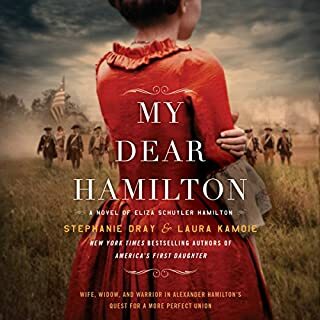 In this beautifully written novel of historical fiction, best-selling author Susan Holloway Scott tells the story of Alexander Hamilton's wife, Eliza - a fascinating, strong-willed heroine in her own right and a key figure in one of the most gripping periods in American history. "Love is not easy with a man chosen by Fate for greatness." In Washington, Eliza becomes an adored member of society, respected for her fierce devotion to Hamilton as well as her grace. Behind closed doors, she astutely manages their expanding household and assists her husband with his political writings. Yet some challenges are impossible to prepare for. Through public scandal, betrayal, personal heartbreak, and tragedy, she is tested again and again. In the end, it will be Eliza's indomitable strength that makes her not only Hamilton's most crucial ally in life but his most loyal advocate after his death, determined to preserve his legacy while pursuing her own extraordinary path through the nation they helped shape together. 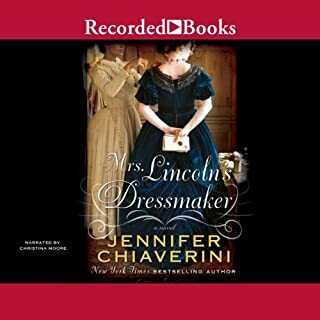 ©2017 Susan Holloway Scott (P)2017 Blackstone Audio, Inc. I put ‘historical’ all in caps in my heading because, in addition to having a good storyline in and of itself, ‘I, Eliza Hamilton’ has lots of history built in—up close history about the latter part of the Revolutionary War through the creation of the Constitution and beyond. As far as history goes, though, it’s written in a way that pulls you in and helps you see very interesting things about the time period and behind the scenes of important events. Scott’s writing and Maarrleveld’s narration are both wonderful! loved it, but I wish it would have focused more on Eliza as a person. 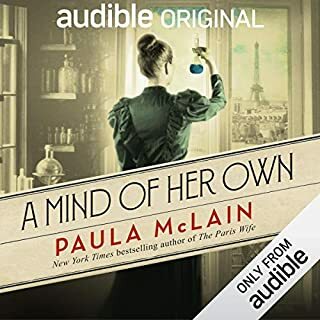 Where does I, Eliza Hamilton rank among all the audiobooks you’ve listened to so far? I, Eliza Hamilton is a story that should be told. I enjoyed the woman's perspective of early politics through her husband's eyes, although, it was a modern perspective. I wish I could have sensed a more authentic Eliza Hamilton. I am left wondering, does political gaming never change; only the players change? I don't give many 5 star reviews, even if I love a book. I look for depth of character, how well it is written and in this case, how well it is narrarator. this book was done masterfully! The story is amazing and gives the reader a glimpse of what life was really like during our nation's early years. I am a history junky and just love how the story was presented! As for Alexander Hamilton, I always knew the details and timeline of events, but I never really thought about how his poor wife was affected. He really was a selfish man with an amazingly loyal wife! Excellently woven story, read clearly, enjoyed fully. 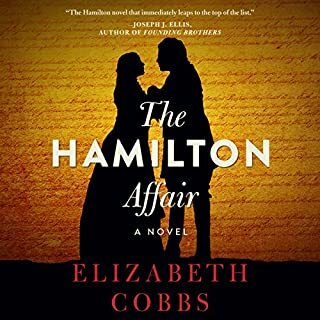 Written as the wife and lifelong partner of the passionate Alexander Hamilton. This was a deeply moving and engaging novel. The narration was skillfully done and pulls you into the tale completely! One of the best books I've read so far this year. The book made me want more. I only absorbed asmall amount of History in school. The perception I took away was that the United states were indeed United. I don't know if it was my inattention or the way the materials were presented. It reminded me of reading the Bible for the first time. Sunday school as a child barely scratches the surface of the ideas in the book. I am sure this historical romance hardly scratches the surface of the true history. It peaked my interest on the subject. I am currently listening to a non fiction book about Alexander Hamilton to learn more. Unfortunately we all agreed at my book club that the narrators voice was so annoying. Listen out for things like “ He Saaaays” and “ She Saays “. I couldn’t finish the book by listening to her but still loved the book. I loved this book! I recommend it to anyone! Well done! 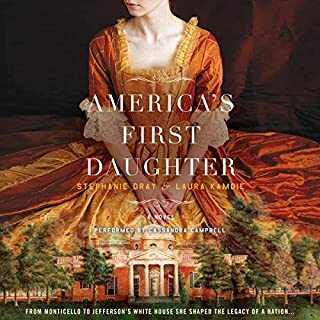 I want to read more Eliza Hamilton books!